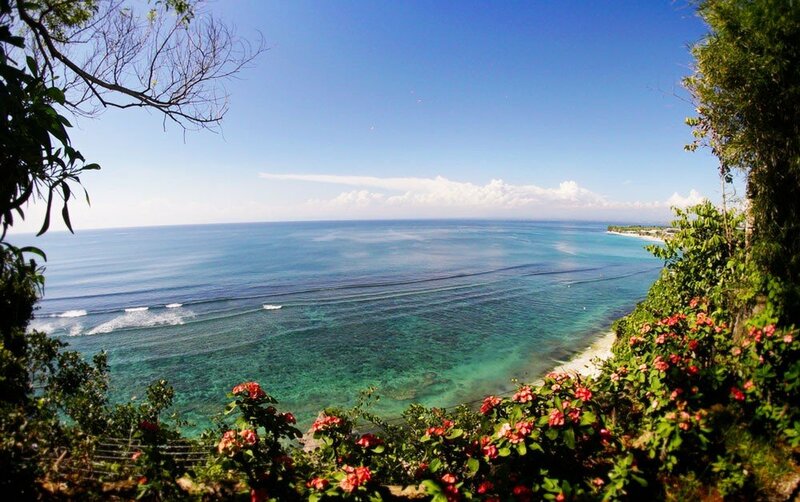 M atahari means eyes of the day, the sun in Indonesian. 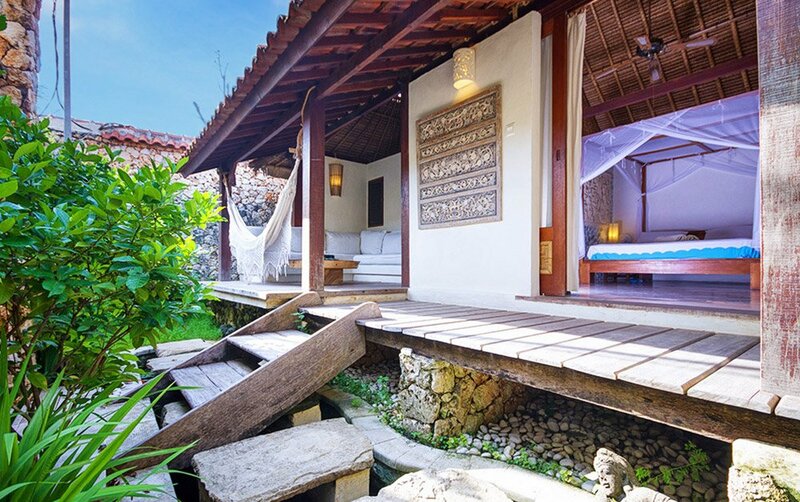 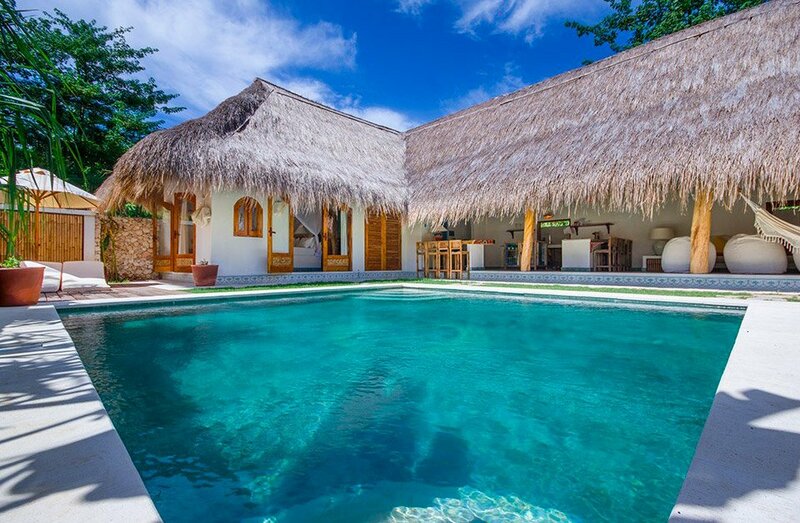 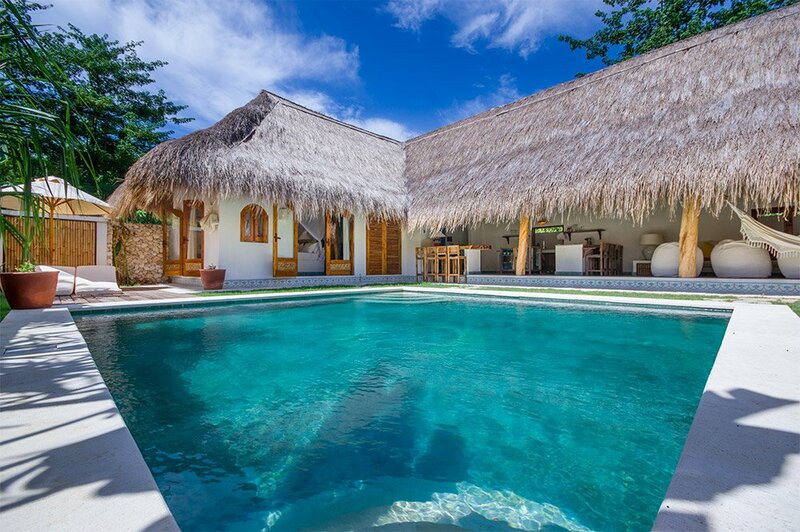 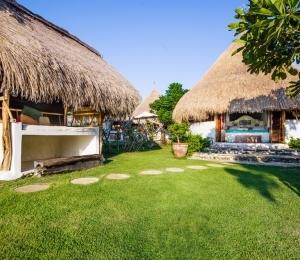 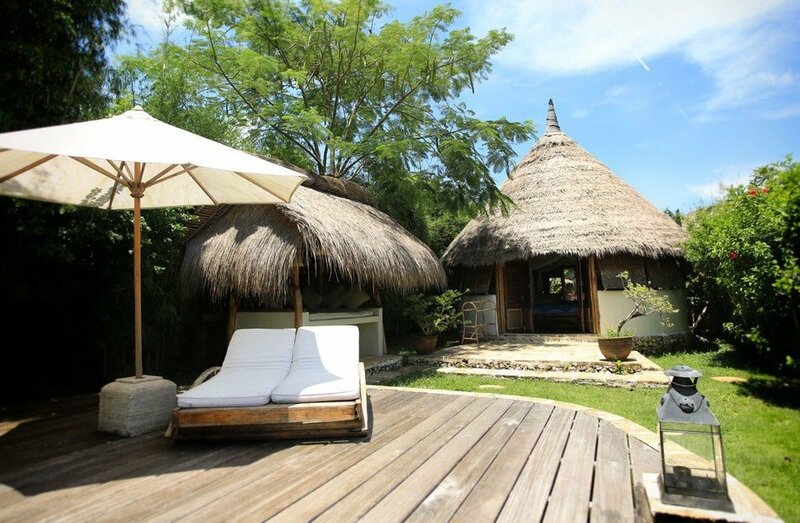 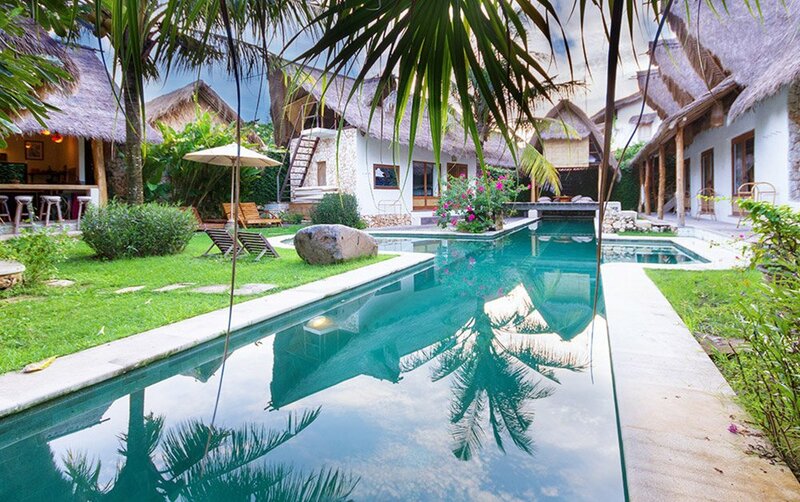 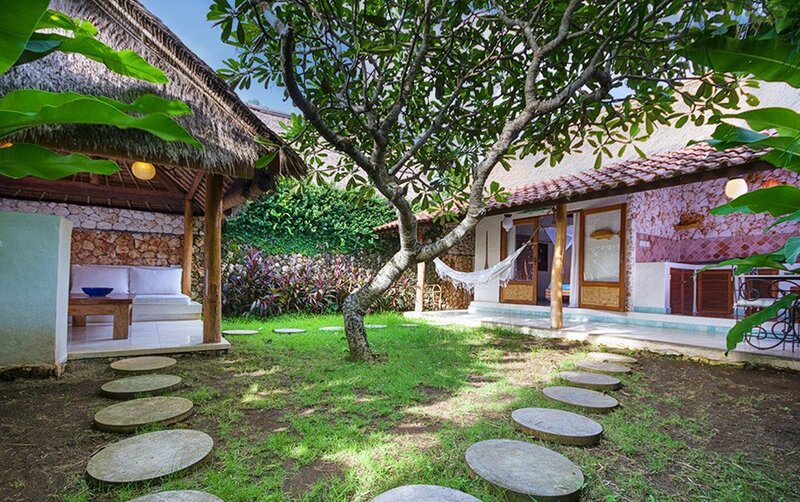 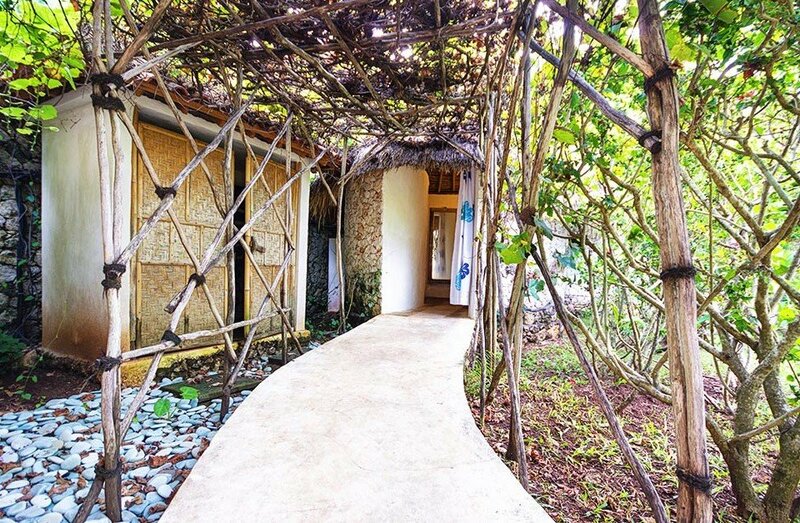 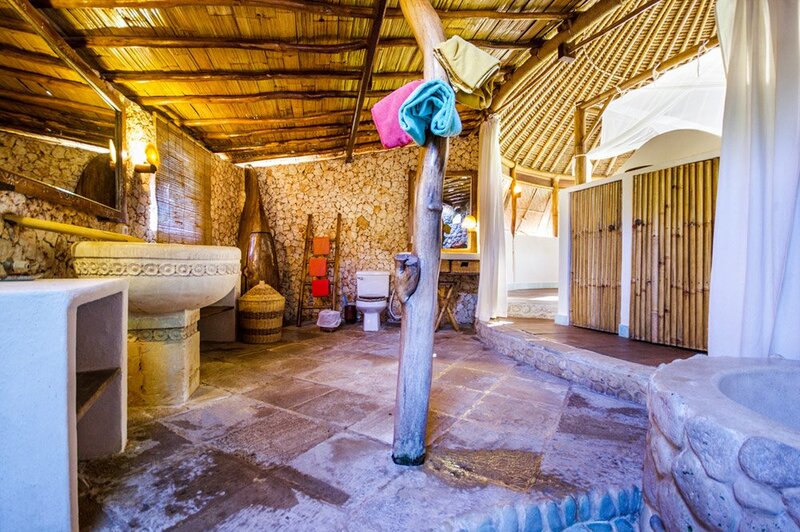 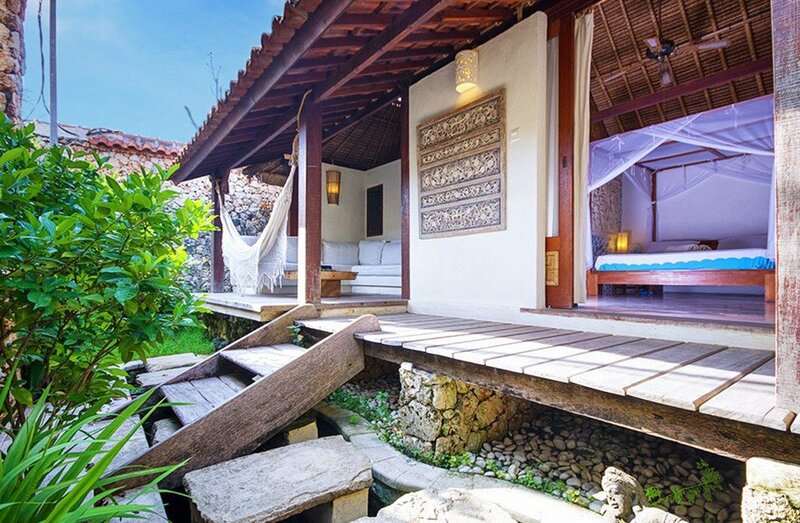 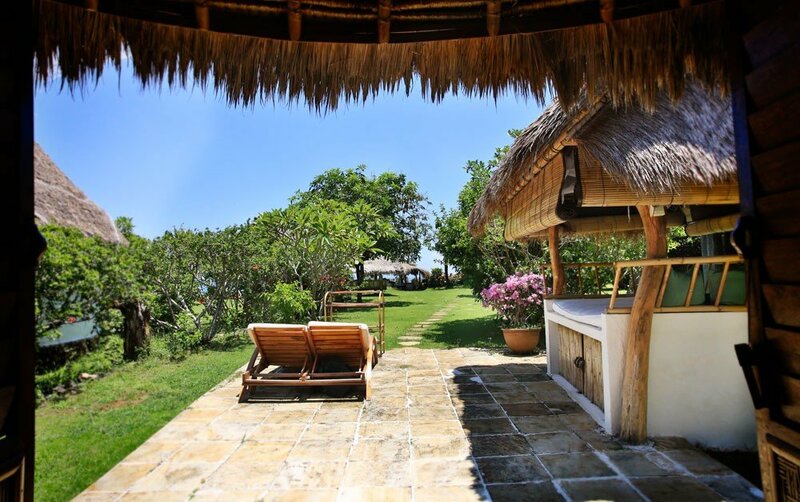 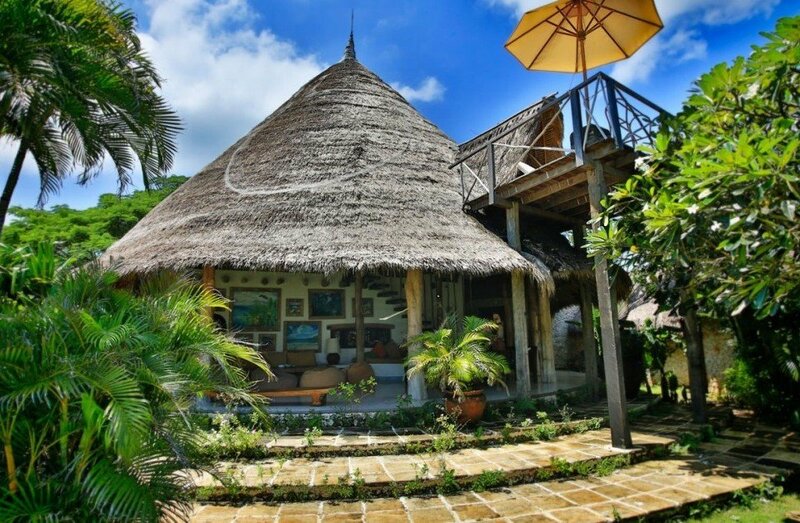 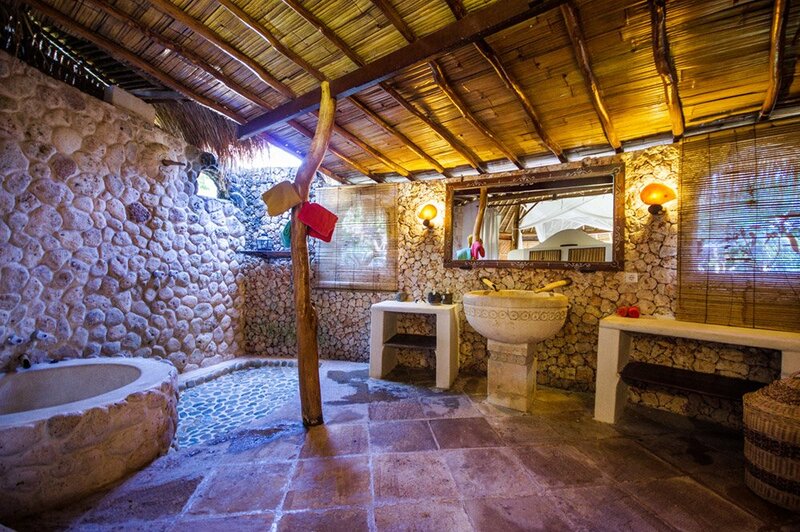 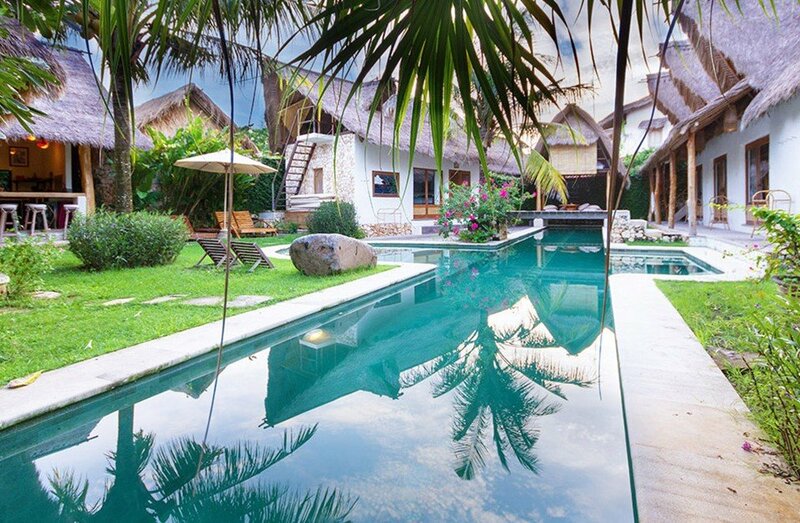 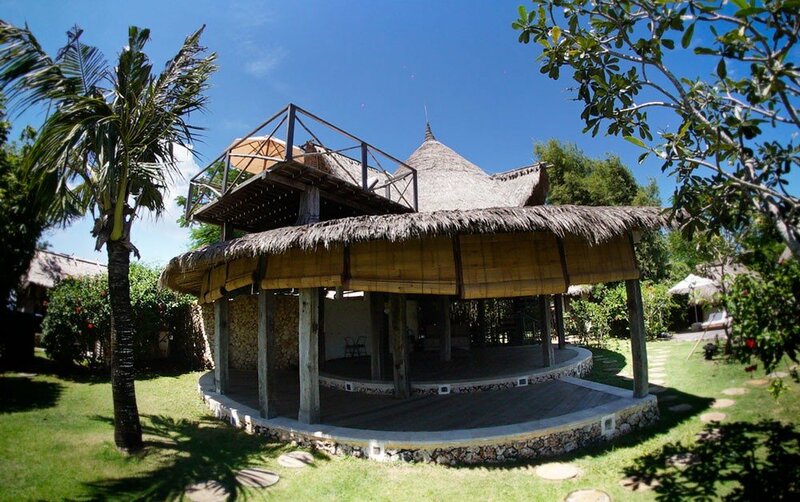 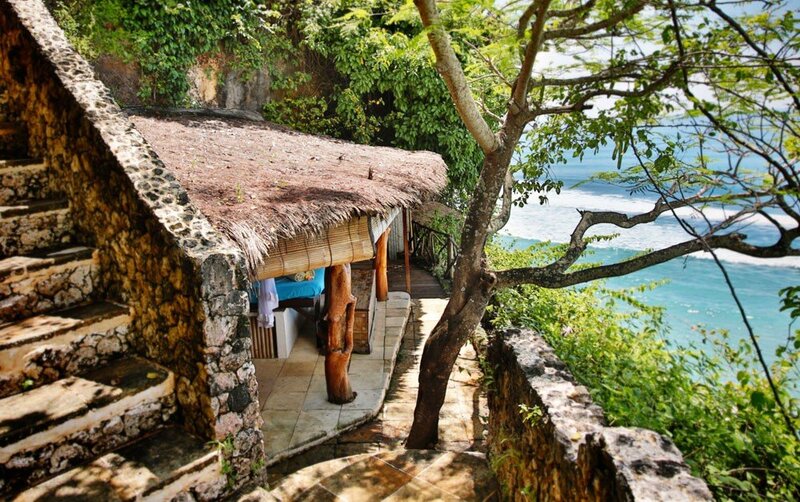 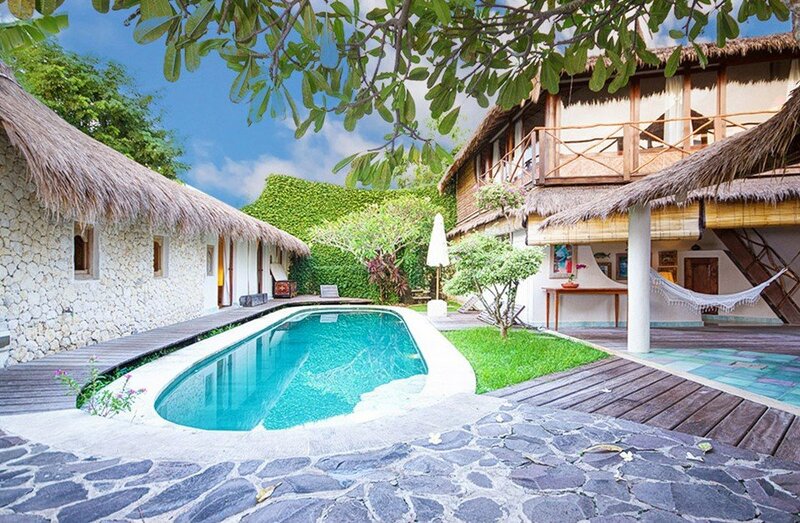 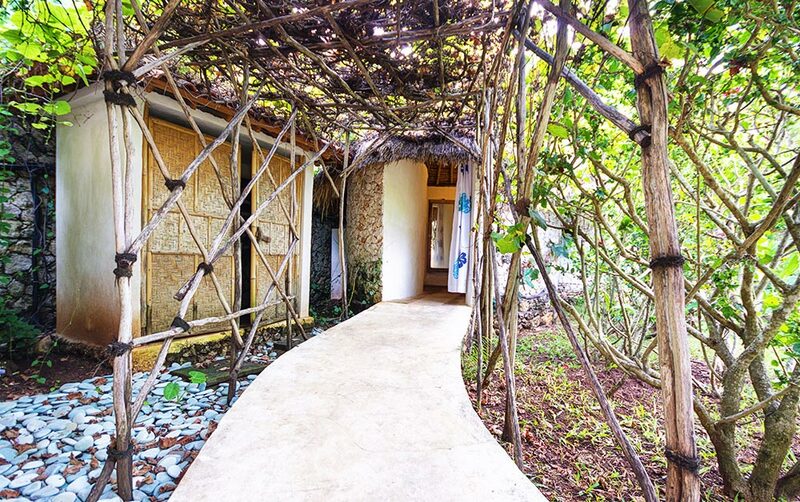 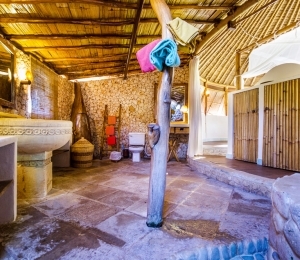 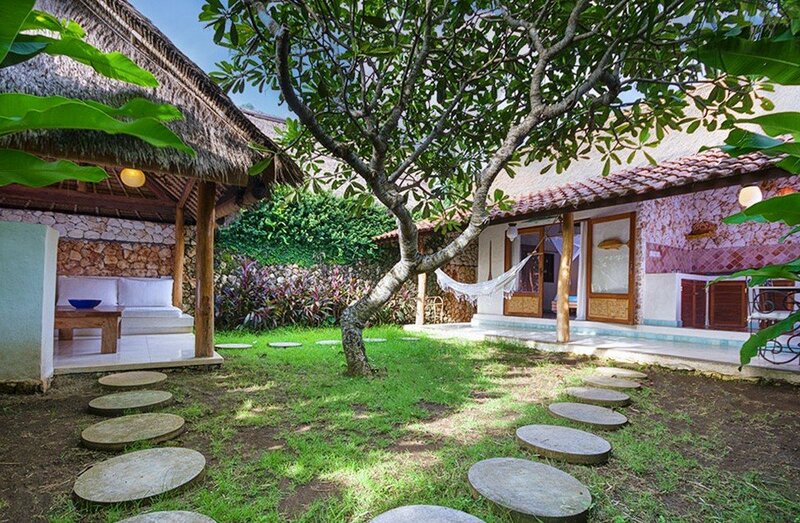 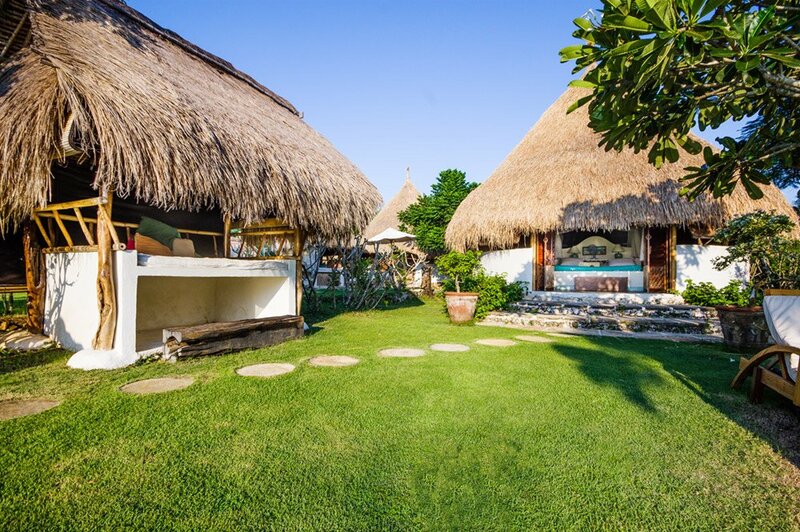 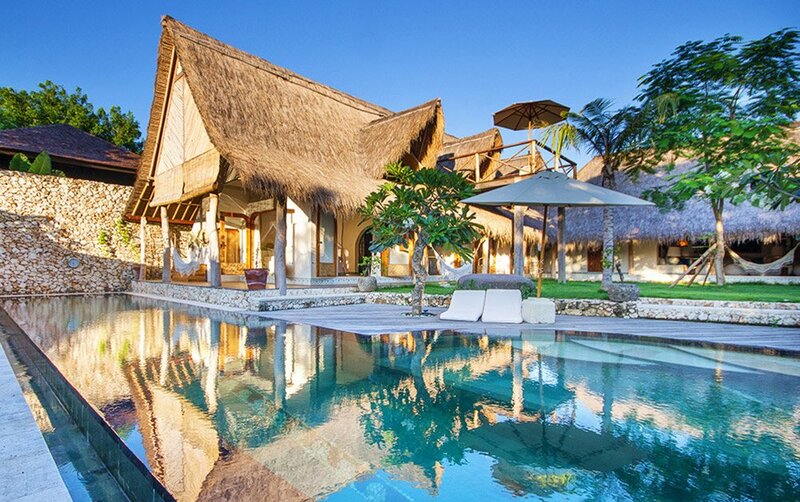 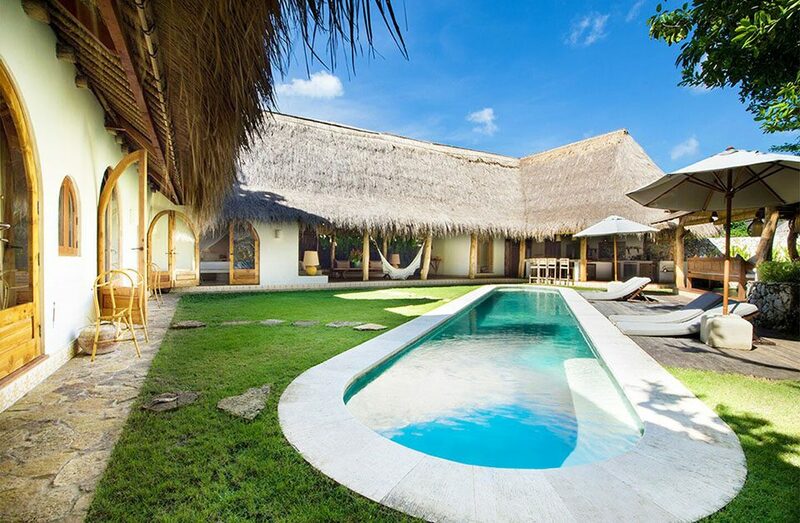 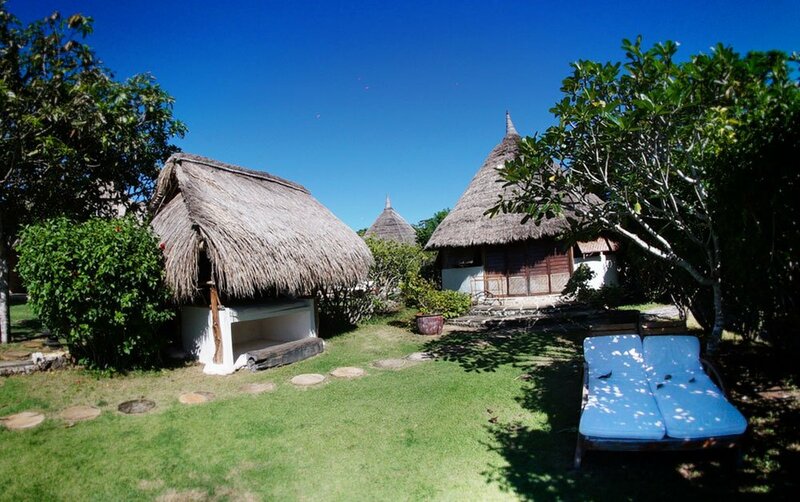 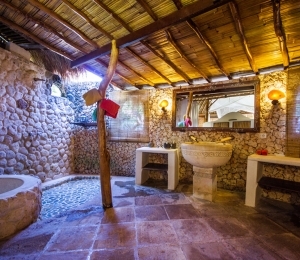 It has a king size bed with AC and a large natural stone and bamboo bathroom. 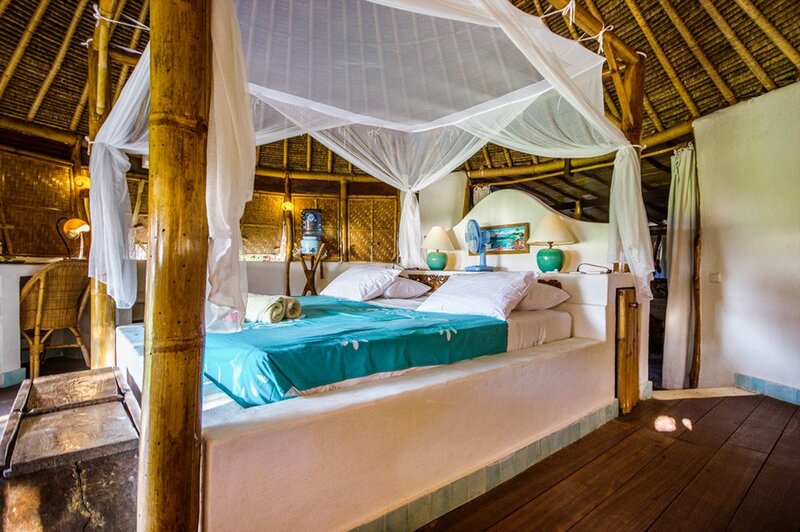 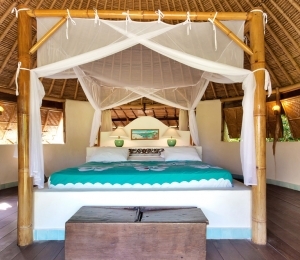 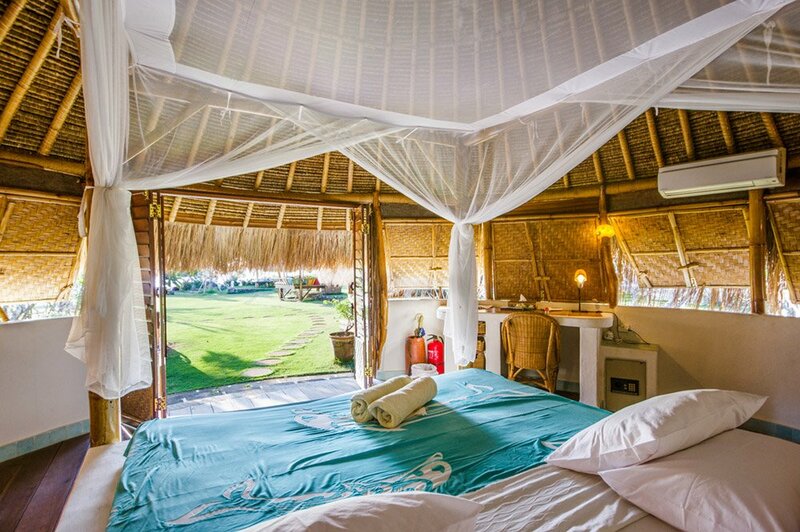 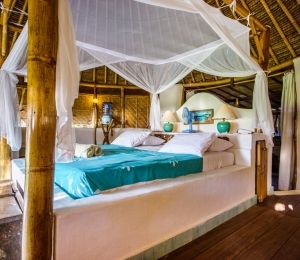 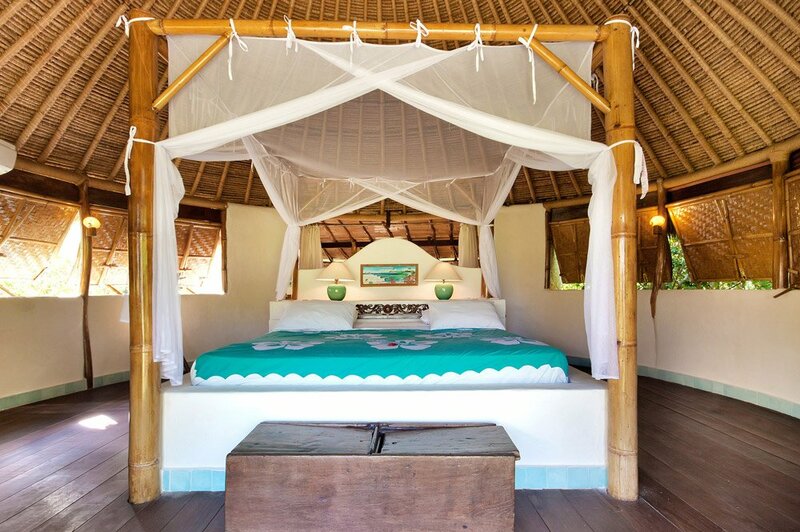 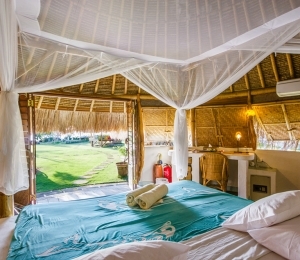 It includes an outside traditional “Bale” with a mosquito net for lounging. 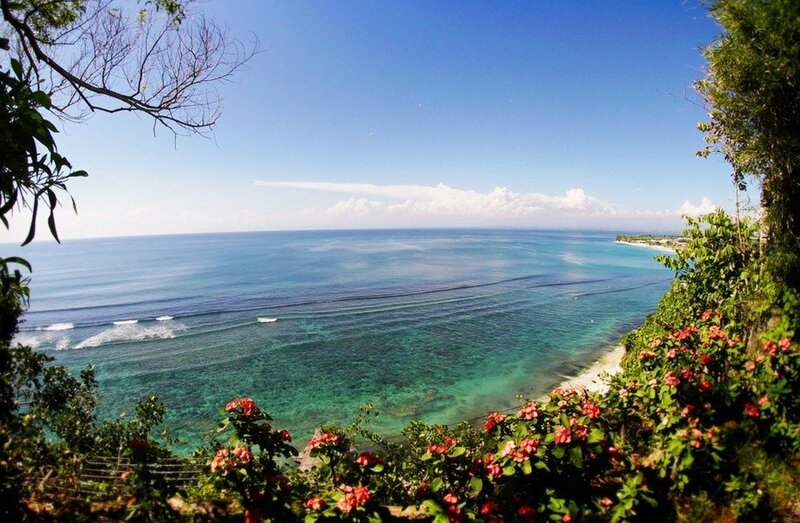 It has beautiful views out to the sea.